Who is Garden Expert Brandon Foster from Tulsa OK? g for the most effective means to getting the beautiful garden that not adds value to their home, but also creates a beautiful and relaxing enclave from the tension of modern life. The shortest route to the garden of your dreams is an experienced professional in gardens and lawns who can provide the essential insights that will lead to greener grass, stronger trees and healthier plants and flowers. 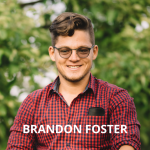 In Tulsa OK, Brandon Foster has more than a decade of experience in addressing the needs of lawns and gardens in the local climate and region. This experience has produced a keen understanding of what proper gardening in Tulsa Ok, really needs. 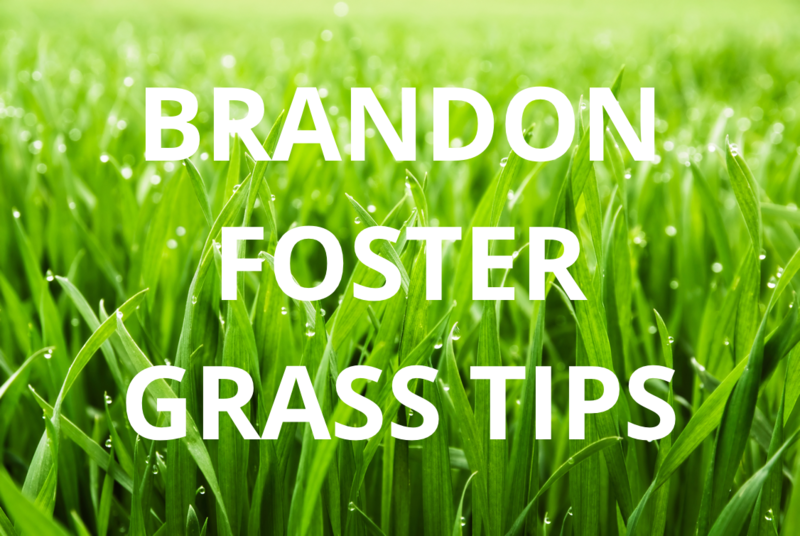 From lawns, to trees and everything in between, if you are looking for an expert in keeping gardens healthy and lawns luscious and green Brandon Foster has the experience and skills to get you the garden you need. This following article will provide an overview of some of the gardening specialties you can expect from Brandon Foster superior gardening services. The lawn of your house either front or back is the centerpiece of a beautiful garden and maintaining a perfect balance of water, soil nutrition and proper mowing practices is a fine art that should be precisely suited to each lawn. Too much of anything can be as bad as nothing at all, by the same measure, the perfectly balanced care of an expert can make an ordinary grassy lawn a true living emerald for your neighbors to envy. 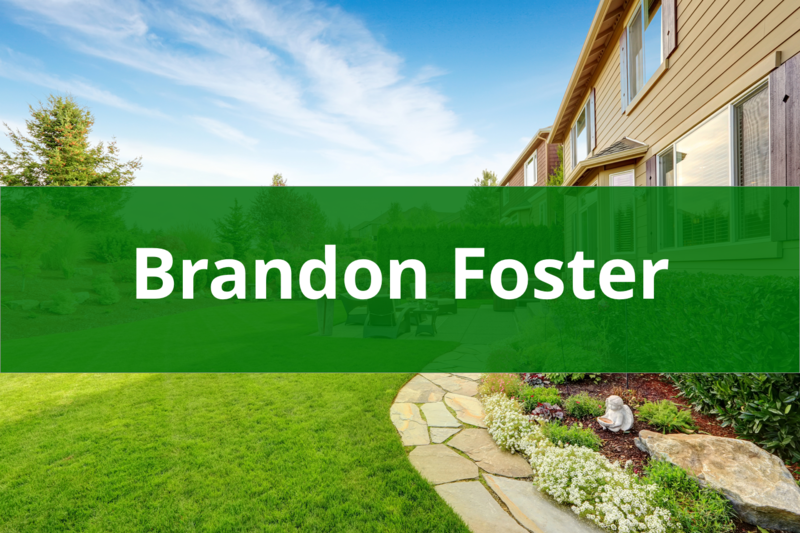 From setting up a tailor-made watering system to the details of soil tonics and aeration, count on Brandon Foster to be your partner to the garden and lawn of your dreams. If you have a lawn that you want to see transformed into something epic, you will need to finetune your green-thumb skills with advice from an expert. The art of cultivating plant life is therapeutic, invigorating and very satisfying, it also makes an excellent form of exercise that can keep you healthy and serene. Of course, this is a skill that yu will be building over the rest of your life and there is a chance of meeting with surprises and failure. If you are growing peonies, pumpkins or plums in your home orchard, keeping the health of the soil and plants at optimal levels is essential. With a little helpful advice and the perspective of a master, your produce could feed and army and your flowers and plant life will be the talk of the block. For advice on proper fertilization, watering techniques and all things related to plant life in the garden, Brandon Foster knows what is needed in the Tulsa area. Keeping the trees in the garden healthy and strong will improve their visual appeal and protect the garden from danger. Dead and dying trees can attract diseases and vermin that will affect the rest of the garden and even the wooden structures in the home. If you have tree in your garden keeping up their health with proper tree attention is essential, this is another service that you can expect to be performed with experience and skill. The irrigation system applied to your garden will make or break the final effect. It is essential that the sprinklers, soakers and other constituents of your lawn and garden irrigation are perfectly suited to the needs of the job at hand. While this may seem like a very simple task and any DIY enthusiast with a free afternoon could do a pretty good job, having this done by a professional eliminates the chances of dry spots, runoff, puddles and other factors that can mar the beauty of your garden and lawn. There are so many ways the arrangements of your plants, trees and shrubbery can improve the visual appeal of your backyard paradise. From beautiful property divisions made of stunning perennials, to a mysterious path that leads into the willows, to a plethora of attractive desert Vista options that require little care, Brandon Foster can help you come up with an attractive design that will look amazing and suit your needs for convenience as well. –Knowledgeable – getting the garden right from the start is the best way to start. There is a scathing learning curve involved with appointing a garden and getting an expert opinion is always a good start. — Reliable – as with any service you will be looking to help your purpose, you will want them to show up on time and have all the tools and equipment to fully address your lawn. — Fair Price – Gardening is a tough job, but you shouldn’t spend a small fortune to have your garden the way you want it. You will find competitive prices offered by Brandon Fosters garden services. Top 7 essential backyard Tulsa Oklahoma tools recommended by Brandon Foster. Taking good care of your lawn is important because it leaves it looking great, and shows it is properly kept. There is nothing worse than going to a backyard and finding it not well kept because it becomes an eyesore. There are many people who fail to maintain their backyard because they see it as being expensive or time-consuming. This is never a good approach to take because you are missing out on the many benefits. People will judge you from how your backyard looks. The good thing is that you don’t have to spend a lot of money on your backyard, just a little time is enough. One trick people do is doing things one by one. If you can wake up early in the morning and do it non-stop until you are done, good for you. If you feel like you can’t, consider breaking it down into smaller sessions that take about thirty minutes to an hour. You can do this over the weekend or anytime you have free time. Your family members can help you too. This may seem slow, but you will be surprised at how much you can do. After a couple of sessions, you will see a big improvement. From there onwards, you will just schedule regular maintenance work. It will be worth it in the end, and you will be happy that you did it. In order to do this, you will need some backyard tools. Here are seven essential tools you need for your backyard work. For many people, gardening has become a wonderful hobby, but there are some things that can easily go wrong, e.g. getting pricked by a thorn or getting splinters. This makes it a good idea to get a pair of gloves that are of good quality. You should choose a durable pair that is not too bulky. You should properly store, away from water, sun, and insects. There is a wide range of options in the market. Choose the one you like, and you will not have to worry about thorns and blisters. Trowels are needed when it comes to the planting of herbs, taking out weeds, and digging around corners. There are some trowels that are cheap, while there are those that are expensive. If you have a big gardening budget, then you should go with a hand trowel that has been forged from stainless steel, or a trowel that had a stainless steel head. Choosing this means you won’t have to worry about buying a trowel anymore because they are durable and will last for a long period of time. These are short-handled square shovels that will make your work easier when you are digging a hole or moving mounds of dirt from one place to another. You should choose a spade that has a head made of strong steel and the handle from a thick fiberglass. This can be a little pricey, but this is the only money you are going to spend on it because it will last until you aren’t able to garden. When debris and leaves start falling, you will need something to gather them in one place. This is where you will need a good rake. This is made out of plastic, and it is not expensive. If you decide to use any other tool, then you can expect to spend a lot of time doing it. A good rake will do the work within a short period of time. This an essential tool that you will need for your garden, and you will be happy with the results you get. You should by a long hose that has a rain wand and adjustable nozzle. Water is one of the most important things when it comes to gardening. You need to choose a hose that will be able to spray the entire backyard. Using a hose that has an adjustable nozzle will enable you to have the control on the pressure of water. A rain wand will help you avoid fighting to wind a hose. When you have something that needs to be lopped like a shrub or trees, then you will need a pair of these. You will be able to remove branches that have a diameter of up to two inches. This is a must-have tool for every shade. If you are doing the installation of your garden on your own, or the backyard uses compost or has extra soil, then you need to have a wheelbarrow. You can get a good two-handed wheelbarrow for about $80, and this can help you carry hundreds of pounds. By investing the above tools, you will have an easier time with your backyard work. You can add other tools with time, and ensure you go with the right one depending on your situation. Seeding or planting your lawn is an easy task and can be completed with success when you know what to do. When planting grass seeds here are 5 essential steps to achieve the best results. The best lawn will only grow from the best type of grass seeds. When it comes to choosing top-rated grass seed, you should be looking for the NTEP rated varieties. This means they have been rated and evaluated independently by the National Turf Evaluation Program. NTEP ratings associated with grass seeds translates into buying grass seeds which have been bred specifically for the best green color, insect and disease resistance along with drought tolerance. The actual price for this type of grass seeds is insignificant to time spent in building the best lawn. To achieve the very best in your lawn results you have to start with the best type of grass seed. The seed needs to be spread evenly over small areas by hand. You can either use a lawn spreader or your hand to spread the seeds or invest in a mechanical -seeder when you have a large area to cover. Stick to around 16 seeds for each square inch. If you plant too many seeds close to one another, this results in the seedlings fighting for nutrients and space and the grass will become thin or weak over these areas. Lightly drag your grass-seed bed ensuring that you do not exceed more than ¼-inch of topsoil to cover the grass seeds. It is recommended to cover the bed with a product such as mulch that contains a fertilizer to ensure the seeds stay in place as well as retain moisture. You need to ensure that your grass-seed bed stays moist in order to enhance and promote germination. You need to water lightly by avoiding over saturating the bed at least once a day until the new grass is at least 2-inches in height. You need to water your new grass a lot more often than an established lawn to make sure the roots stay moist. When Is The Best Time To Plant Your Grass Seed? For the best results, it is recommended to plant grass seed in the fall or spring. If you plan to plant your grass seed in the spring, avoid applying weed-control products to your grass. You should only start to use weed control after the seeds have germinated and you have already mowed your lawn 3 times or more. • Avoid mowing your grass when it is wet. This will leave behind clumps of clippings that will smother your grass underneath. • Make sure you wash the spreader every-time you use it, particularly after you have used a fertilizer. Fertilizers are made up of salts and will eat away at metal parts. • Aerate your lawn in the Fall when you have clay or loamy soil. You should conduct this activity before fertilizing. You can easily rent an aerator making sure you aerate the grass from either direction. This assists in loosening up your soil as well as a way for the fertilizer you use to penetrate a lot deeper inside the soil. • Rake up leaves and any other debris in the months of fall and winter, as soggy leaves can suffocate any new sprouts that come out in spring as well as leave behind dead-spots on your lawn. Dead leaves and debris are also a breeding ground for pests and diseases. • Choose a “slow-release” fertilizer. Rather than choosing to feed your lawn in one go, this type of fertilizer feeds your lawn over a much longer period. This type of fertilizer may be associated with a higher price tag, but really is a worthwhile investment. Having spent time gardening over the years, I’ve picked up “tricks of the trade” as one may like to call them. These are little tidbits that can go a long way in making gardening easier, faster, and far more efficient. When I was younger, these tips went over my head and I might have ignored them but they’ve proven to be incredibly valuable. Here is a look at the three most important tips in my opinion and why they matter so much. The first piece of advice revolves around timing. Too many people get sucked into the world of plants, planting them, and adding new seeds to their setup. However, the maintenance of a garden is done with the watch. Yes, it is the watch that will play a big role and here is how. I have noticed people tend to do things on their own accord and that’s never ideal! A garden has a life of its own and that means taking the time to build a proper schedule. There should be a set time for when the plants are watered, maintained, and removed (if necessary). There is never a good time to be reckless when it comes to plants. A garden is all about building a schedule that is ideal for the garden. This can be a shock to some people because they want to do things around their own schedule. However, this might not work out to your advantage and it’s smarter to set a proper schedule in advance. By doing this, you are eliminating some of the problems people deal with on a regular basis. Be smart and stay on top of this. Plants cannot be situated based on emotion or “aesthetics” as modern-day gardeners like to say. It’s all about understanding what the plant needs, how fast it will grow, and how it’s going to stay healthy. This can include things like time in the sun and time in the shade. Is the plant getting enough based on what it requires or are you hoping for the best? Don’t hope for the best! You have to plan everything and make sure the location is ideal for the plant’s needs. Taking the time out to plant seeds, water the plant, and watch it grow only to have it fall apart is never ideal. You want to take time out to plan ahead so you are not left with mediocre results in the end! This should include assessing what other gardeners have to say about the plant, its growth patterns, and maintenance needs. If you do this, the plant will start to grow on its own and less effort will be required for long-term progress. People don’t think about this as much as they need to, which can be unfortunate. Location is going to matter a lot and you want to start to map everything out before starting. This will lead to a healthier and vibrant garden that is the talk of the town. A garden is heavily reliant on its plants and their growth. While most gardeners spend time assessing their options, it always comes down to controlled growth. There is no value in having aggressive plants that take up space in a garden. This can start to have a negative impact on the surrounding greenery. Having spent time dealing with plants such as the gooseneck loosestrife, I can confidently say this is a major problem in many cases. You have to be aware of what’s being planted and how it’s going to react. If it is meant to grow and take up space, it’s important to control things as soon as possible. In fact, you should be planning ahead before it gets a chance to spread itself. My recommendation is to plant it in a simple plastic container that will hold it in place. You can bury the plastic container along with the plant making it easy to hide. This is an essential step for aggressive plants or the growth will become unbearable and unreasonable. Don’t ignore this and ruin your garden! In the end, I have spent decades learning the intricacies of gardening and what works. These are three tips that stand out and have become a part of my gardening experience. It’s important to learn from these tips and make them your own instead of dealing with unnecessary issues. It happens to everyone and you have to learn to adapt. Those who adapt and take the time to appreciate such nuances are the ones that have a beautiful garden at home. Don’t rush towards building a garden without keeping these things in mind. They will have a key role to play in your success!